His career in the cinema Gaidai began immediately in two ways: as an assistant director and actor. It happened in 1954, when he was included in the Mosfilm project “Liana” directed by Boris Barnet. 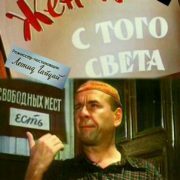 Gaidai was engaged in the selection of actors, and also performed one of the roles – a friend of the groom of the main character named Alexei. Apparently, it was he who acquainted Gaidai with Kyuna Ignatova, and two years later they met again on the same set. And this time Gaidai acted as the main director, and Ignatova was again the performer of the main role. It’s about the film “Long Way”, which became the directorial debut of Gaidai. A new meeting between Gaidai and Ignatova could cause rumors of their romantic relations. However, if they were, it was rather platonic, considering that Gaidai really liked beautiful women. And Ignatova was just like that, and touched the heart of the director. He loved his wife very much, but considered her appearance quite ordinary, if not more. “Ah … How come?” Why did you marry me then? I must be the most beautiful for you. Especially since I have a new dress! So, Gaidai took Ignatova to the main role, to admire her from a distance. 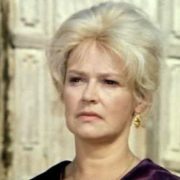 The second was Ekaterina Mazurova, who played a small role as the mother of the main character. 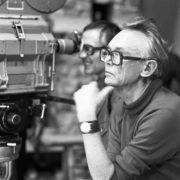 After the completion of work on the film “Long Way” Gaidai attracted the attention of the master of Soviet cinema Mikhail Romm. He invited Gaidai to make a comedy. So, the film “The Bridegroom from the Other World”, in fact, became his first comedy. By the way, it was a “female’ film – it had 14 actresses and only seven men actors. 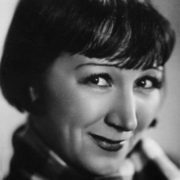 The role of Petukhov’s bride Nina Pavlovna played the popular actress Vera Altaiskaya. Given the pronounced comedic talent of this actress, it seems strange that Gaidai never invited her to any of his further films after the “Bridegroom from the Other World”. Perhaps, because she was the exclusive actress of storyteller Alexander Rou. 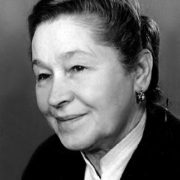 The role of Nina Pavlovna’s mother played actress Rina Zelenaya. At the end of the 50’s she was a very popular actress, not only cinematic, but also pop. The role of Zelenaya in the film “The Bridegroom from the Other World” was small and therefore not very noticeable. 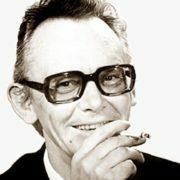 Gaidai will subsequently invite Zelenaya in two more films: “Operation Y” and other adventures of Shurik “(1965) and” 12 chairs “(1971). One more actress, Anastasia Zueva played the role of the cashier Anna Mikhailovna Kuku in “The Bridegroom from the Other World”. However, after this film Zuyeva did not work with Gaidai again. Why? Apparently, for the same reason as Vera Altaiskaya: both were talismans of another director – Alexander Rou. 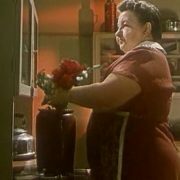 And actress Maria Kravchunovskaya played the role of the cleaner aunt Poly in the “Bridegroom …”. 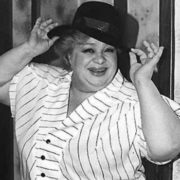 In 1950, Kravchunovskaya came to work at the Stanislavsky Theater, where Gaidai’s assistants noticed her. 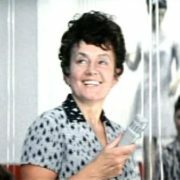 During the filming of “The Bridegroom from the Other World”, a creative rapprochement between the director and actress took place, which led to the fact that Gaidai began to invite Kravchunovskaya to subsequent films. 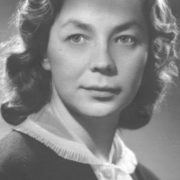 In particular, she would play the role of a nurse in “Three times Risen” (1960), and in “Operation “Y”- grandmother Maria Ivanovna. The role of head physician Elizaveta Vladimirovna in the medical institution was performed by the popular actress Zoya Fedorova. 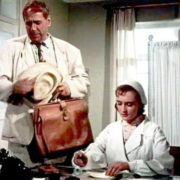 Gaidai invited Fedorova to his movie in the summer of 1957. Having played in Gaidai’s movie once, Fedorova will not meet with him again. Unfortunately, the result of life of this popular actress will be tragic: she will be shot in her apartment on December 11, 1981. Another episodic role in the film “The Bridegroom from the Other World” played actress Klarina Frolova – this is the woman’s role in the queue at the hospital registry. Since then, Frolova will not appear in his films anymore. But she will take part in other films (including comedies), some of which will become very popular. Also, one more actress played a small role of the employee in “The Bridegroom from the Other World. 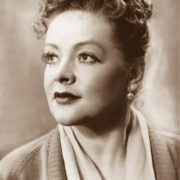 It was actress Tatiana Guretskaya. 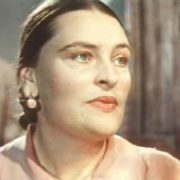 And in another episodic role of a funny girl in the film played the star of Stalin cinema – Lidiya Dranovskaya. 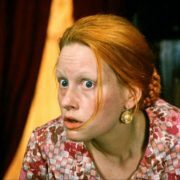 In the role of a young registrar Klavochka starred Klara Rumyanova. 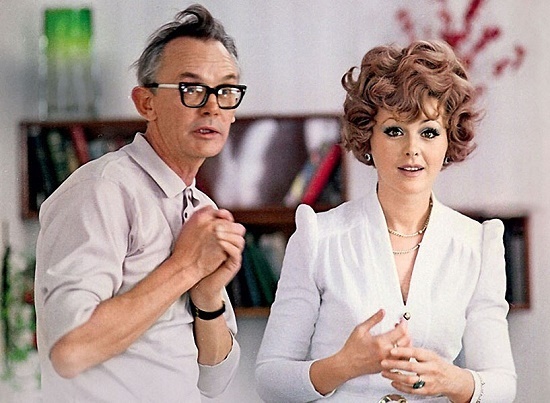 The role of Rumyantova in “The Bridegroom …” was small, though with words. But another 13 years will pass, and Rumyanova will appear in the iconic film of Gaidai “12 chairs” (the wife of Father Fyodor). 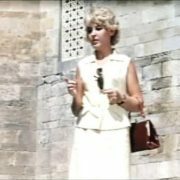 Meanwhile, another famous master of the episode, Alexandra Danilova starred in the role of Vera Anatolyevna’s employee in “The Bridegroom …” . 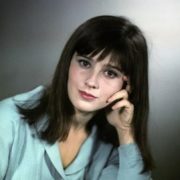 In the film, Danilova appeared for a few seconds, but the viewer remembered her. After that, she will play in a hundred films, among which there will be outstanding ones. The role of the young doctor in “The Bridegroom from the Other World” performed actress Klavdia Kozlenkova. The role of Gaidai was so small that it is hardly worth mentioning. And in the future Kozlenkova did not cross with him on one set. Rimma Shorokhova – another actress from “The Bridegroom from the Other World”. She performed in the role of Matveyeva, a pregnant visitor to KUKU. Unfortunately, after that Shorokhova’s cinematic career in the USSR was over. 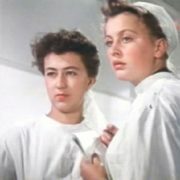 And Valentina Lanovaya, the sister of the famous Soviet actor Vasily Lanovoy played the wordless role of the young doctor. 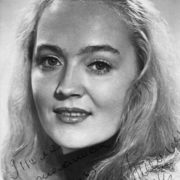 Finally, another actress, starring in “The Bridegroom from the Other World,” was 19 year-old Yulia Pashkovskaya, who flashed in a short episode. 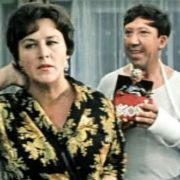 It’s hard to say, how she received the role, however, having flashed in the episode, Pashkovsky will then become a very famous person. Romm’s workshop was closed, and Mikhail Ilyich stopped appearing on Mosfilm for a while. “The bridegroom from the other world” appeared on the country’s screens in September 58, but the authorities ordered to make only 20 copies of the movie, to limit number of spectators. All this could not but affect the health of Gaidai himself. Meanwhile, in 1959, he took up the production of the movie “Three times risen”, which told about the heroic fate of the Volga Tugboat “Eaglet”. 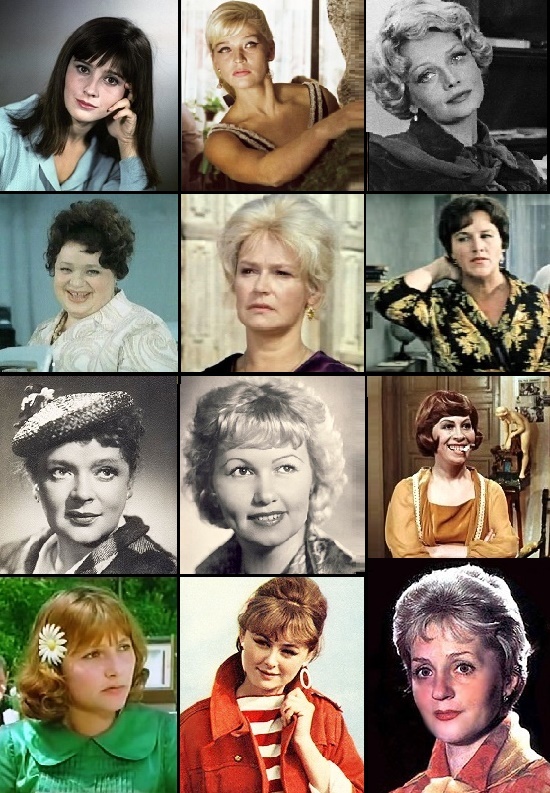 Eight actresses played in this film. 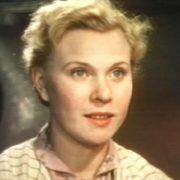 And one of them was Gaidai’s wife Nina Grebeshkova, who played the role of the second plan. It was the role of Zoya Nikolaevna, the school’s director. 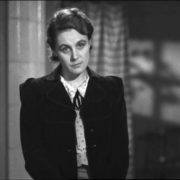 Noteworthy, it was her debut in the movies of her husband. And the debut was natural: after all, it was Gaidai’s third film, and the audience understood and welcomed it. 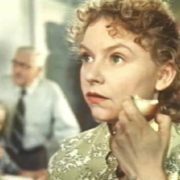 Besides, by the end of the 50’s, she was already quite a famous actress, who had behind her shoulders shooting in ten films. 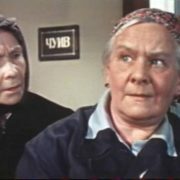 There could be more roles, but in 1958 Grebeshkova gave birth to Gaidai’s daughter and spent some time with her at home. Therefore, the shooting in “Three times Risen” was her return to the big cinema after the birth. 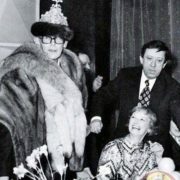 Tatiana Ignatova (“Incognito from St. Petersburg”, “Sportloto-82”).